The ThinkStation P520c Tower Workstation from Lenovo is a powerful workstation designed for professionals in the creative field who need performance, storage, and processing capabilities. Specs-wise, it's equipped with a 3.6 GHz Intel Xeon W-2123 Quad-Core processor, 8GB of 2666 MHz DDR4 RAM, an NVIDIA Quadro P600 graphics card, and a 1TB 7200 rpm HDD. To enhance this system's performance, you can install additional components including RAM modules, 2.5"/3.5"/M.2 storage drives, as well as PCIe-based expansion cards. Moreover, with Lenovo's optional Flex Module, you can add even more hardware and connectivity options as needed. Other integrated features include multiple USB ports, a SuperMulti DVD drive, 9-in-1 media card reader, Gigabit Ethernet LAN, and audio jacks. The operating system installed is Windows 10 Pro (64-bit). 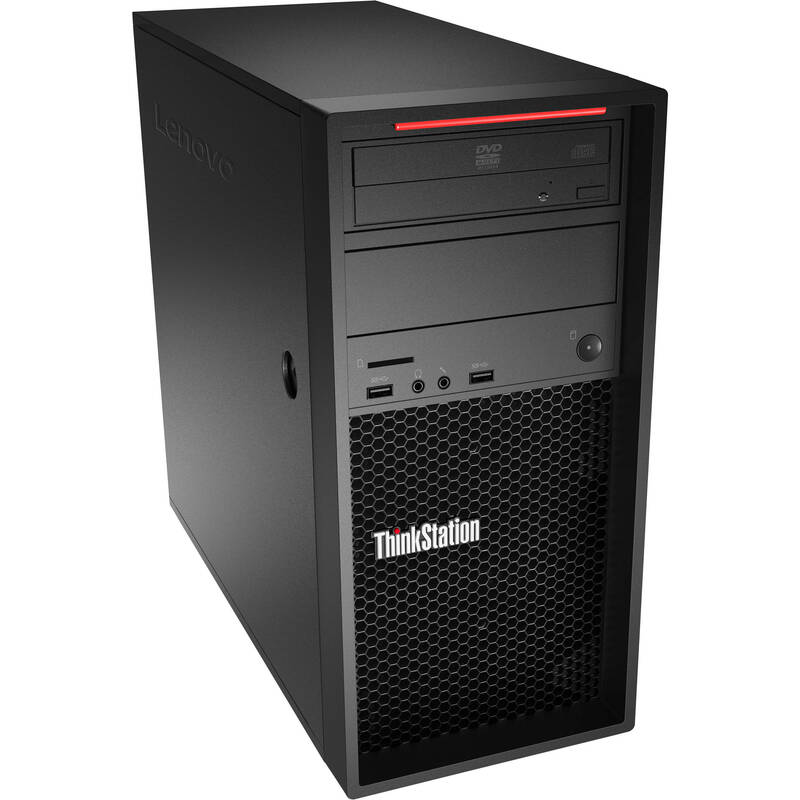 The ThinkStation P520c has a total of four RAM slots that can support up to a max of 128GB of DDR4 RAM. It also has two 5.25" optical bays, two 2.5"/3.5" drive bays, and two PCIe M.2 slots for storage. Lastly, there are two PCIe 3.0 x16, one PCIe 3.0 x8, and one PCIe 3.0 x4 slots for additional hardware. A SuperMulti DVD±RW Burner is included for reading from and writing to a variety of CD and DVD media. It also has a 9-in-1 media card reader that you can use to transfer data to and from storage cards. The optional Lenovo PC Diagnostics app, available for both desktops and smartphones, can help you diagnose and troubleshoot potential system issues. You can also download the Lenovo Performance Tuner software to optimize your system's performance.